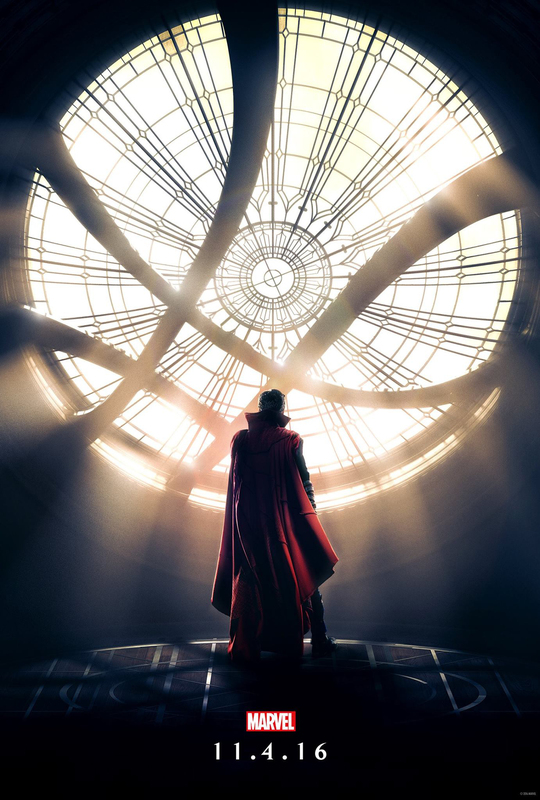 Doctor Strange teaser poster | 'TAIN'T THE MEAT… IT'S THE HUMANITY! The first teaser trailer for Marvel Studio’s upcoming Doctor Strange movie has just been released. The two minute trailer appeared on IMDB this evening and stars Benedict Cumberbatch as Doctor Strange, Master of the Mystic Arts, Chiwetel Ejiofor as Baron Mordo and a shaved headed Tilda Swinton as The Ancient One. Also released were a couple of teaser posters. The one above is a suitably atmospheric image of an (almost) silhouetted Strange in front of the distinctive loft window of his Greenwich Village house. 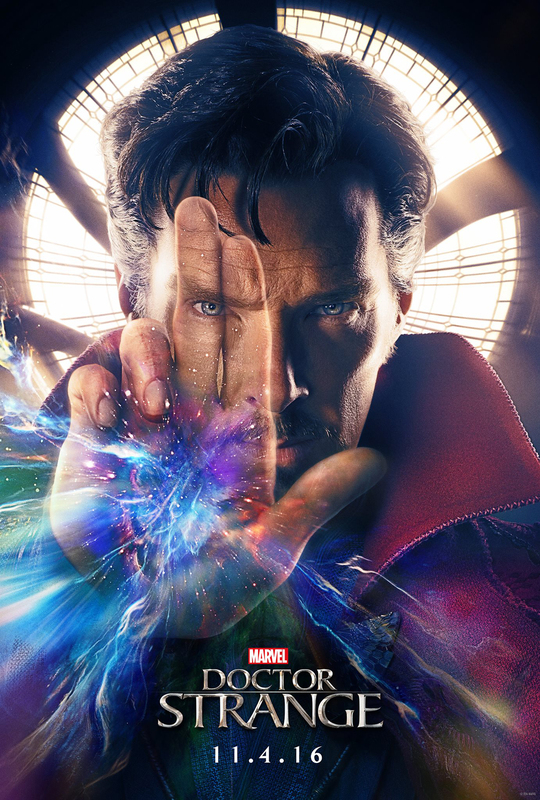 The second (below) shows Cumberbatch sporting Strange’s iconic red collared cape while totally rocking the Doc’s trademark moustache and grey temples. Both posters do a great job of portraying the mysticism of Stan Lee and Steve Ditko’s classic Marvel Comics character . The film, directed by Scott Derrickson, will be released in the US on 4th November.